People are ashamed when they get lice. So they try to hide the fact that they're dealing with lice. And they certainly do NOT talk about it with other people. If head lice are in your community, they are going to STAY in your community, being passed around from one family to the next for the foreseeable future. To read an article that teaches you how to talk to other people about head lice CLICK HERE​. It might seem harsh to some people, but having and enforcing a strict "no-nit" policy is a very important part of eradicating head lice from your community. By catching cases of head lice early, your school and community can prevent a wide-spread infestation. 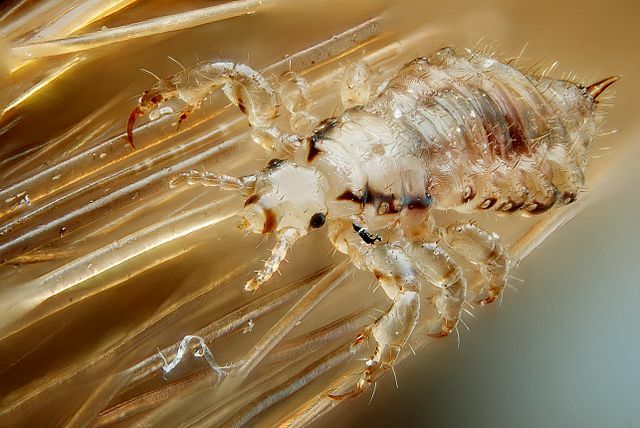 USING PRODUCTS DESIGNED TO KILL "SUPER LICE"
Over the many decades we have been using permethrin-based products to kill head lice, the bugs have become immune. That is why Super Lice exist in the first place. The fact that lice have become resistant to the chemical poisons is what makes them "Super Lice." IF PEOPLE IN YOUR COMMUNITY ARE USING INEFFECTIVE PRODUCTS, ALL THE COMMUNICATION AND NO-NIT POLICY ENFORCEMENT YOU DO WILL NOT HELP. EVERYONE NEEDS TO BE USING PRODUCTS THAT ACTUALLY KILL "SUPER LICE." We have done an extensive study of different head lice treatments which you can see HERE. Also, we have determined which products are the best at killing "Super Lice"​ and you can see our recommendation by CLICKING HERE. Click here to see information about a new Super Lice Treatment.